SILVER GLITTER HANGING SNOWFLAKES. 36 assorted sizes glitter snowflakes. SHATTERPROOF. 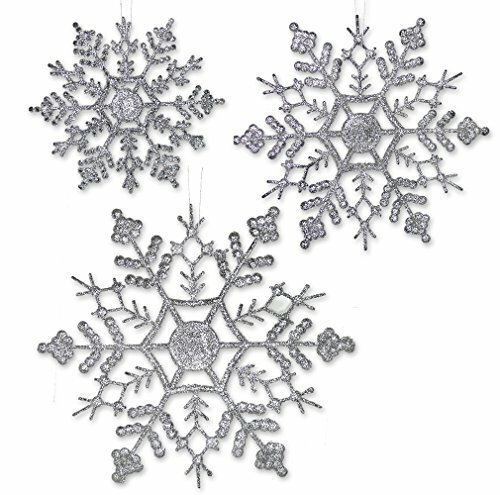 These plastic snowflake are perfect for any of your holiday decorating this year. 12- 4", 5" and 6" snowflakes. Add more than 1 set to your cart for a complete winter themed CHRISTMAS TREE.